The Body Shop is the first global beauty brand to start campaigning to put an end to animal testing in cosmetics, and this happened in 1989. Because of their persistence, the United Kingdom government banned animal testing of cosmetic products and ingredients in 1998. The European Union banned animal testing in cosmetic products (2004) and animal testing in cosmetic ingredients (2009). In 2013, the EU banned the sales of cosmetics tested on animals. Unfortunately, 80% of countries do not have any laws against animal testing - including Canada. Along with its campaign partner (Cruelty Free International), The Body Shop Canada is now dedicating its focus on convincing the Canadian government to pass legislation that bans the sale and manufacture of all animal-tested cosmetics. Cruelty Free International estimates more than 500,000 animals are used worldwide in cosmetic testing per year (or 1,390 animals a day). Animal tests include dermal toxicity tests - the animal (rat, guinea pig, or rabbit) is shaved, and a substance is applied to the area. A patch is then used to cover the area so the animal cannot lick or remove the substance. No pain medication is given to these animals during the tests, and they are almost always killed at the end. The results obtained from these tests are then used in an attempt to prove that a product is safe for human use. In many cases, it is only 40-60% effective in predicting human reactions, whereas alternatives to animal testing (e.g. testing methods outlined below) are accurate 80% of the time. 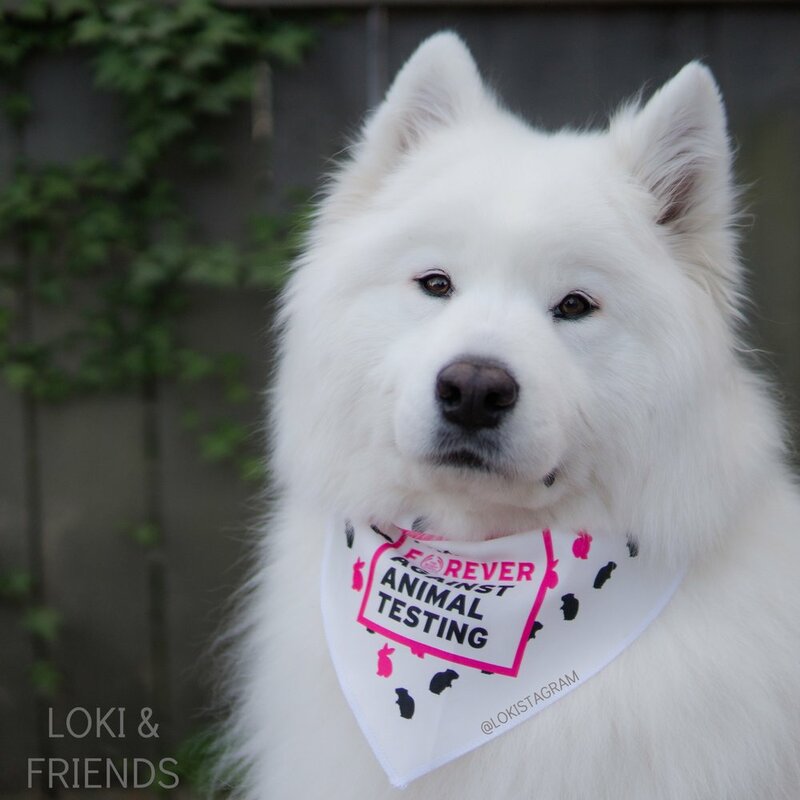 Because The Body Shop does not test on animals, they utilize three main testing methods to ensure that their products are safe and effective for human use. In the first method, The Body Shop use readily available data which is able to help them assess if a material is suitable for use. The second method involves using EpiDerm (human skin cells grown in a laboratory), and they are able to conduct safety checks on human cells (without harming people or animals). Science rules! Lastly, The Body Shop will test their products using patch testing, which basically means putting a tiny amount of the new product onto a person’s skin. This happens at the final stage of the testing, and it is to ensure that the product is safe and effective for use. These are only three of the many globally recognized alternatives to animal testing, which are not only more effective but are also cheaper to conduct. Animal testing is completely unnecessary and we must do everything we can to eliminate it globally. Millions of animals should not have to suffer when there are reliable alternatives for testing available. Let's help stop all cosmetic animal testing of ingredients and products everywhere. *We were sent personalized Body Butter and Forever Against Animal Testing bandana for Bear and Momo to wear in support of this cause.